Metal stamping is used to turn cold sheet metal and other materials — such as copper and brass — into high-performing products and parts that can be used in various industrial and manufacturing processes. Traditionally, power press stamping machines are built to blank and stamp metal parts; these machines are ideal for simple, straightforward operations. Progressive die stamping improved on power press stamping machines by allowing for the completion of various operations, such as punching, coining, and bending. Multi-slide stamping machines then further improve the die stamping process by allowing for the production of highly complex shapes and bends. The four slide metal stamping machine is one such machine, although the terms “multi-slide” and “four slide” are often used interchangeably. How Does Four Slide Metal Stamping Work? Power press stamping and progressive die stamping both utilize an up-and-down, or vertical, motion when processing sheet metal and other materials. These stamping methods are geared toward the production of less complex parts. Multi-slide metal stamping, including four slide metal stamping, is different; these machines work in right angles, or horizontally. The slides, or rams, in the machines, strike the sheet material to produce the finished product. Multi-slide stamping machines may have more than four multiple moving slides, while four slide metal stamping machines have a fixed number. Servo motors or cams act on the slides, allowing the workpiece to be worked from four sides. Since different tools can be attached to the slides in a four slide metal stamping machine, it is much more versatile than a stamping press. Four slide equipment is also able to handle the manufacture of much more complicated parts, including parts with multiple, complex, or over 90° bends and twists. 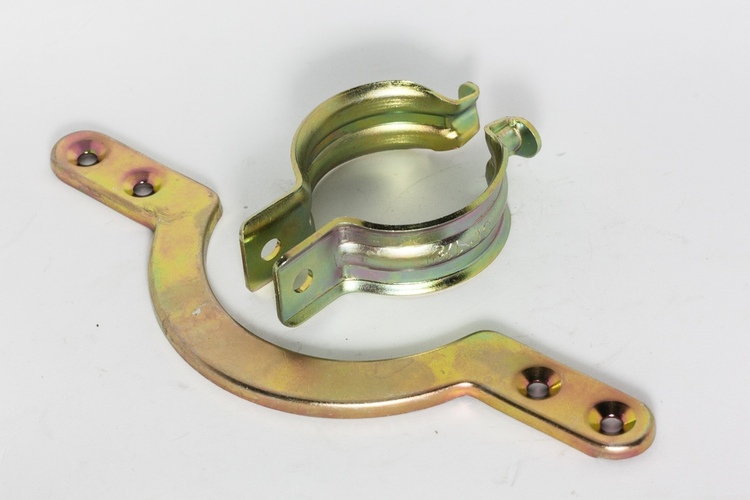 A huge range of parts can be produced using four slide metal stamping, including flat springs, clips, brackets, shunts, friction plates, terminals, and retainers. Both flat and round materials can be formed. Moreover, four slide metal stamping machines are much more cost-efficient than other stamping machines. The tools needed for four slide stamping are often cheaper than those required by other stamping methods, and die sets are not required. Aside from the relatively cheap tooling needed for the slides, the raw material required to produce a part using a four slide machine is often readily available in the required dimensions. Not only does this make for a cheaper process overall, but unnecessary wastage in the form of unused raw materials is completely eliminated. Production is also much faster and much less labor-intensive. Four slide metal stamping machines can produce a finished product without the need for further processing, allowing for substantial cost savings. However, as with products created using other stamping processes, the output of a four slide metal stamping machine can be plated, cleaned, heat treated, and deburred as needed. Versatile and reliable, metal stamping is used across a wide range of industries to turn sheet metal and other raw materials into high-performing finished parts. Four slide metal stamping, in particular, has become very popular. Offering a range of advantages over traditional stamping press methods, the four slide technique allows for lower production costs, better use of raw materials, and the ability to produce complex and intricate parts. Before embarking on your stamping project, be sure to weigh all available options and carefully assess the specific needs of your unique application.